Our Chesapeake regional headquarters is located at 1025 Governor Warfield Parkway, Columbia, Md. Locally, our customers bank with us at 61 offices 11 counties, including: Allegany, Anne Arundel, Calvert, Carroll, Charles, Frederick, Garrett, Howard, St. Mary's, and Washington County, Md., as well as Mineral County, W.V. The region is managed by two bankers with more than 45 years of combined industry experience. 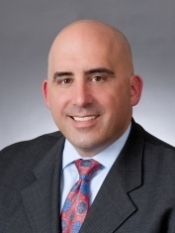 August (Augie) Chiasera is the Regional President of the Baltimore and Chesapeake regions. He has worked for M&T Bank for more than 24 years. He participates in a number of community organization boards, including Center Stage, Baltimore Development Corporation (BDC), Baltimore Symphony Orchestra (BSO), the Greater Baltimore Committee, Garrison Forest School, and the University of Maryland Medical System. He serves as board chair of the Economic Alliance of Greater Baltimore. 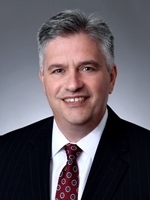 Brian Walter serves as Market President of the Chesapeake Region, and is responsble for managing bank’s activities in Central, Southern and Western Maryland. In 2015, he also assumed responsibility for the commercial business in the Greater Baltimore Region. Walter is a board member of Howard County General Hospital, 21st Century Education Foundation and the BWI Business Partnership, having previously served with numerous other organizations.